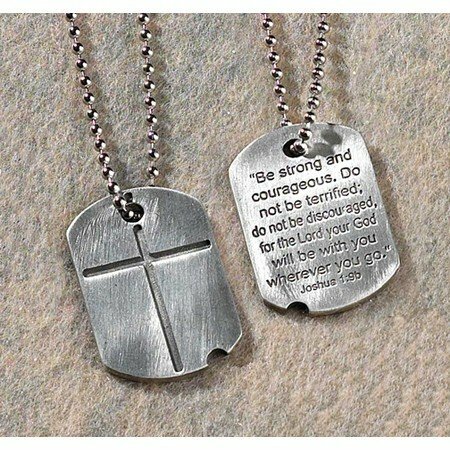 Pewter dog tag with engraved cross inset is inscribed on the reverse with encouraging Scripture reminder Be strong and courageous. Do not be terrified; do not be discouraged, for the Lord your God will be with you wherever you go. Joshua 1:9. 21" ball chain; carded; pendant measures 1.25". 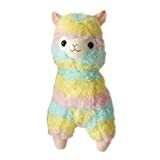 Plush Doll for ... fed Alpaca (H) 11.8"